CR-V steel drop forged, heat treated, sandblasted finish. 36pc punches marked A-Z, symbol & and 0-8 with a 6 turned up side down as a 9. 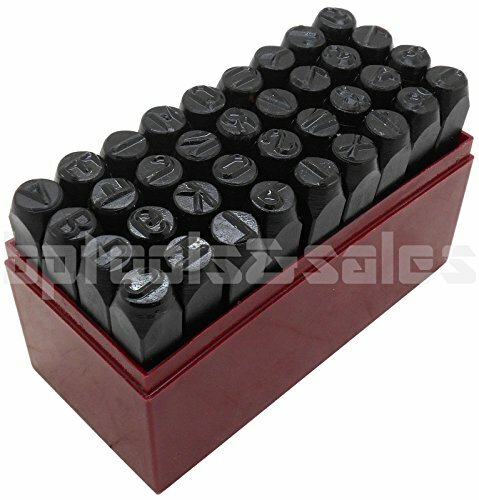 Ideal for stamping metal, plastic, leather and wood. If you have any questions about this product by Gener, contact us by completing and submitting the form below. If you are looking for a specif part number, please include it with your message.